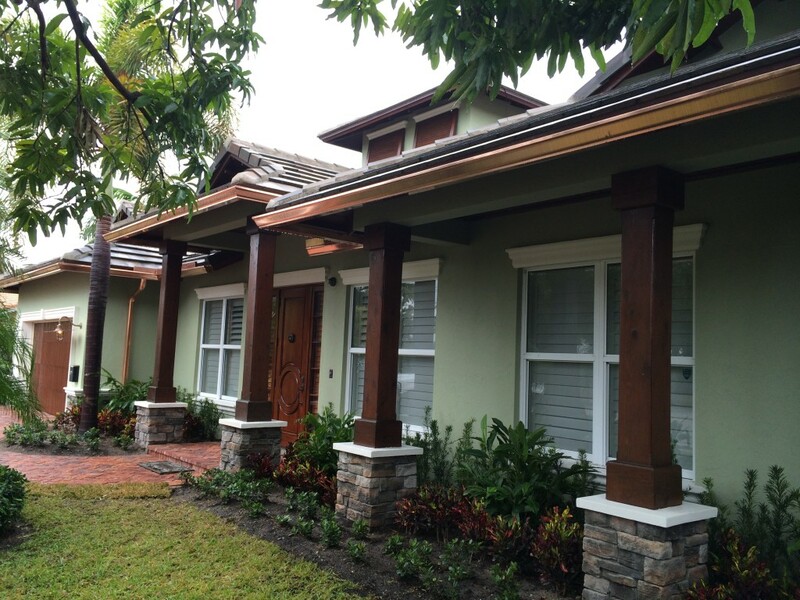 Many homeowners who live in coastal areas choose copper gutter products for their resilience and decorative appearance. 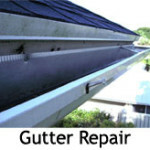 Copper gutters are extremely resistant to corrosion and often last 30 years or more. 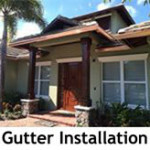 We have extensive experience with copper gutter products and installation. 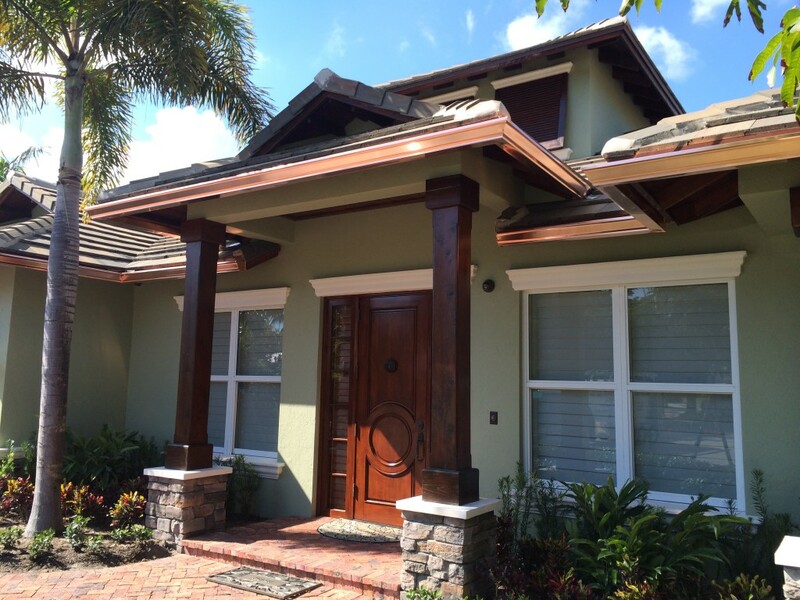 Below is an example of our work with copper gutters. 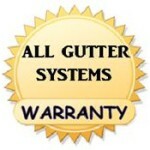 Please call for more information on copper gutter products and custom options. 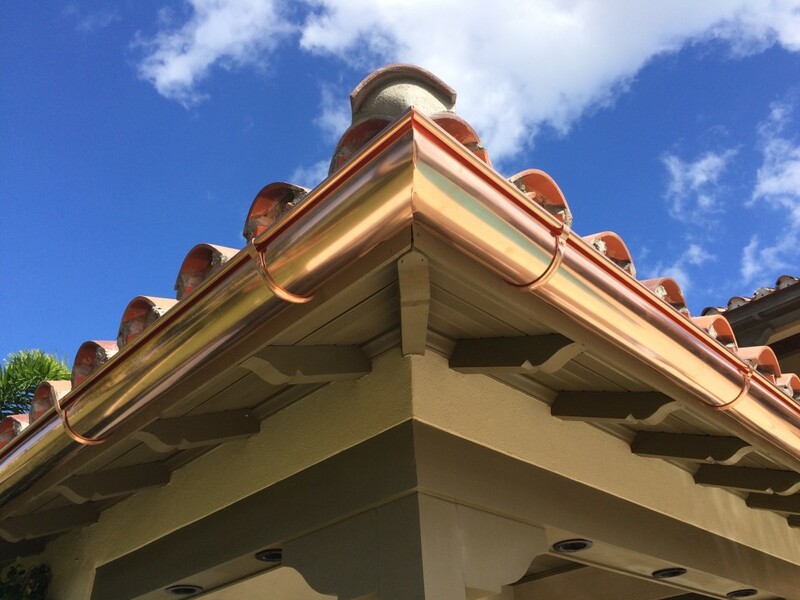 The use of copper gutters is ancient, with evidence of copper roofing and gutters dating back thousands of years. 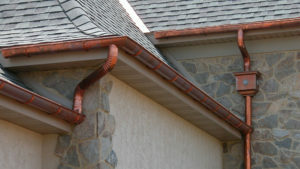 Copper continues to be a very popular material for gutters. 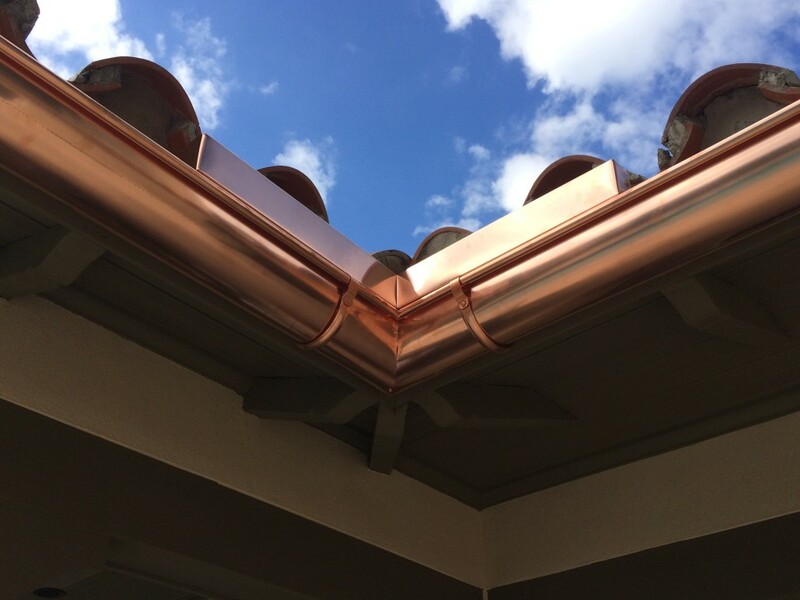 The main disadvantage of copper is that it tends to be higher in price than other gutter materials, but it can also increase the value of a structure. Copper is also sturdy, and it meshes well with a wide variety of roofing materials, including slate, cedar shakes, and composite roofing. 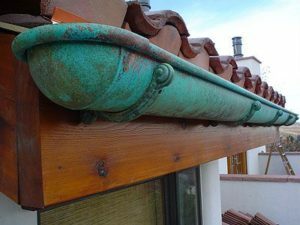 Copper gutters also do not need to be painted, although people who want to reduce the development of a patina may need to periodically strip and re-seal their copper with products designed for this purpose. Patina: Weathering and oxidation give copper that unique green look. 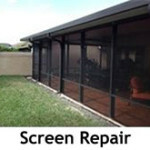 Depending on the acidity of the atmosphere, this process can be faster in some areas.